Gamers are always looking for something to give them an edge over the competition. Whether it’s clear audio quality to hear an enemy approaching from behind or a comfortable fit so they have no distractions, even the smallest aspects of a headset matter to gamers. 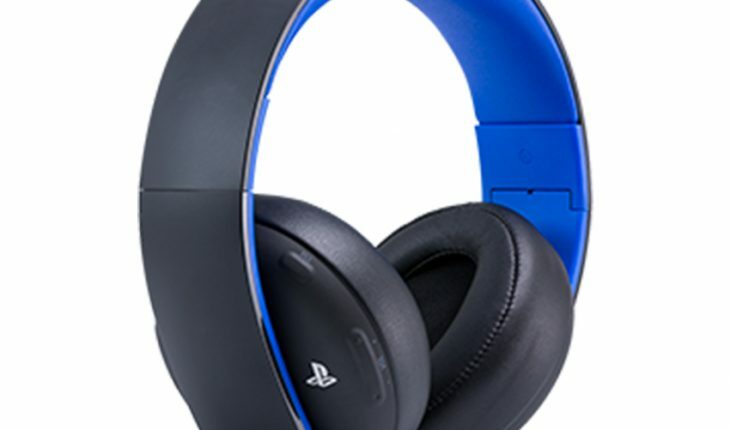 The PlayStation Gold Wireless Headset delivers on many of these fronts. In the gaming world, $99 doesn’t go far towards a quality headset. However, the PlayStation Gold comes in under $100 while still delivering a number of features that make it a competitor even to high-priced contenders. With 7.1 surround sound, a rechargeable battery, cross-platform support, and even programmable profiles for each game, the PlayStation Gold headset is a smart investment. Some gamers care about how their peripherals look and feel. Others don’t. An example of this is simply the controller. Those that use a PS4 controller care about how it feels, if presented with a Xbox control, it just doesn’t feel the same. Another example would be with the PS4 fighstick, where there are designs and shapes tweaked to particular games or functions. The shape is reminiscent to the original SEGA fightstick for the master system all those years ago, but how they look matters to those that buy them. In this case, those that care about design will be a bit disappointed. The PlayStation Gold Limited Edition headset has a bit of a plain design, but it’s attractive in its own way. It folds up into a surprisingly small bundle, making it easy to transport, and the cables fit nicely into a simple black bag branded with the PlayStation logo. The blue around the inside of the headphones complements the white exterior well, and the four symbols on the outside of the headset make it clear that this was built with gamers in mind. While it lacks the flash of some headsets, there’s a subdued aesthetic to this headset that many will appreciate.Controls are found on the left earpiece. Between volume up and down buttons, a set of buttons that allow you to switch between multiplayer chat and game audio, and a toggle button between surround sound and two-channel stereo, you have everything you need easily within reach. A mute button can be handy for shutting the sound off while having conversations with people in the room. Audio QualityThis is where the headset shines. With 7.1 surround sound, you’ll be able to tell what direction that shot came from, even if you don’t get a chance to take him out before you respawn. Out of the box, however, there are a few downsides. The bass isn’t what it could be. However, if you download the companion app that accompanies this headset, you’ll be able to make adjustments on the fly and tweak the bass, treble, and other sound settings. There are also individual audio profiles for specific games, including Infamous: Second Son. The headset will automatically shift to this profile to give you the best audio experience possible during gameplay. 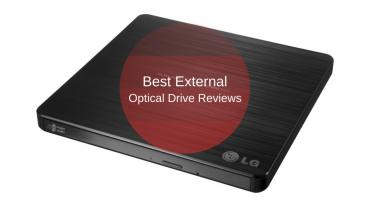 It also works phenomenally well for watching Blu Ray films. You’ll pick up subtle noises in your favorite films that you never before noticed, and you’ll find yourself more absorbed into what’s happening on screen when you hear it more clearly. However, the headphones do emit sound around them rather well. They weren’t built to contain it, so people sitting around you will be able to pick up wisps of dialogue or the sound of stray bullets. 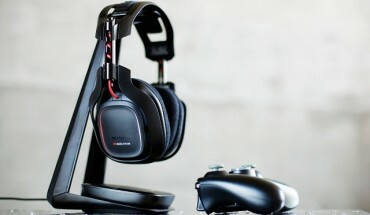 The problem many headsets have is that they begin to wear on you during marathon gaming sessions. You’ll never get so absorbed into a title that you forget you’re wearing a headset. However, the PlayStation Gold Limited Edition headset overcomes that problem with a comfortable design. The soft foam fits well on the ears, and when you’re on your fourth attempt at the Temple of Crota, you’ll be glad you invested in comfort. The pads breathe well, which helps cut back on the amount you’ll sweat. It’s easy to slip the headset on and off, and you’ll be much more comfortable wearing it for long periods of time than you would many of the competitors. The Limited Edition headset boasts an impressive eight hours of battery life per charge, giving you plenty of juice for those long sessions of gaming. However, the power will drain quickly if you forget to turn the power off. To charge the device, it has to plug into the USB ports on the front of the PlayStation 4 and via a micro USB port on the headset. Unfortunately, eight hours is around the limit. If you want to play for longer than that at a given time, you’ll need to take a break to charge the device or switch to a different headset for the interim. While you may not find audiophile-levels of quality from this headset, it’s absolutely solid for the investment. With an impressive battery life and easy charging interface, it’s got a lot of bang for the buck. The sound levels are very impressive, especially for such a low priced headset, and will definitely give players the edge they’re looking for. That said, there have been multiple reports of the device breaking after several months. 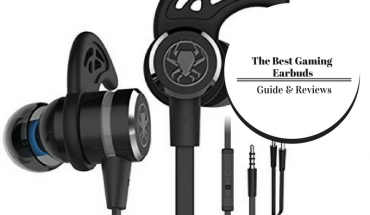 The joints connecting the earpieces to the rest of the frame are noticeably weak, but given proper care and gentle use, this headset should last for a long time.